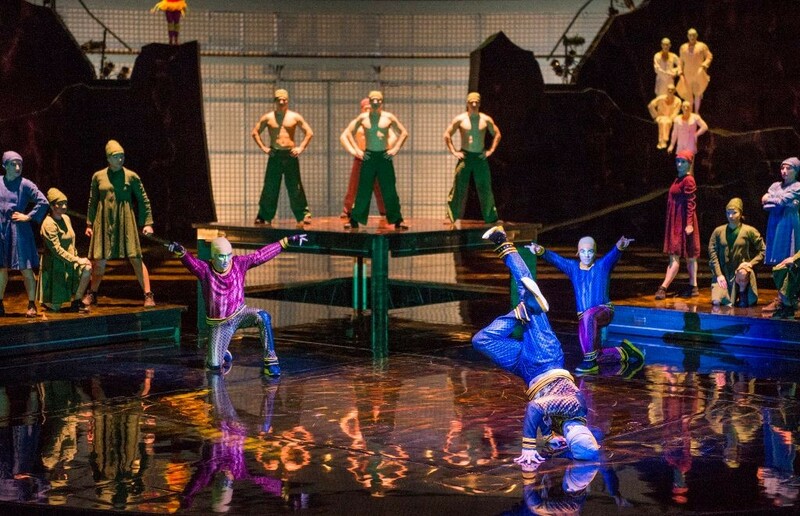 LAKE BUENA VISTA, Fla. — As part of the show’s ongoing evolution, La Nouba by Cirque du Soleil has introduced two new acts: B-Boy, commonly referred to as breakdancing, and Aerial Bamboo, a technique mastered by only a handful of performers worldwide. The acts join the recent additions of uproarious clowns and a breathtaking juggling rolla bolla act. 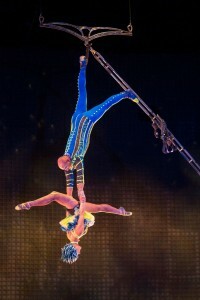 With almost 30 percent of the show experiencing changes, La Nouba continues to bring unique performances that Cirque du Soleil audiences have come to expect. For the first time in any Cirque du Soleil show, a B-Boy trio is featured in their own electrifying act. B-Boying is a physically demanding form of dance, in which performers execute acrobatic tricks and moves, including flips and spins, to music. The La Nouba artistic staff scoured the globe for its three inaugural B-Boys: Josh Ortiz (“Incredible Josh”), Jean Carlos Lloret (“Bebo”) and Dmytro Li (“Flying Buddha”). The three hail respectively from the Bronx, N.Y., the Boston area and Ukraine and are performing together for the first time. All three have been dancing since their youth and bring their own unique styles to the act. Performing their act for the first time in the United States, Russian couple Alexander and Ekaterina Abramov bring the rare performance of Aerial Bamboo to the La Nouba stage. An art form originating in China, Aerial Bamboo involves a pole-shaped apparatus suspended from the ceiling, with attached loops used for a variety of tricks and stunts. Originally, the pole was made of bamboo, giving the craft its name, but is now made of stainless steel. The act requires extreme trust as for most of the performance, Ekaterina is held only by Alexander – his arms, his feet and even his teeth – as he himself hangs by his feet or arms high above the stage. The married duo has performed the act together for 11 years. Considered among the best in the world, they have performed all over the globe, including Egypt, Korea, Spain, Italy, Thailand, Israel and Russia and together have more than 50 years of gymnastics and acrobatic performance experience. To seamlessly integrate the new acts into La Nouba, the show brought back original choreographer Debra Brown, original composer Benoit Jutras and original lighting designer Luc Lafortune to apply their individual crafts and create original Cirque du Soleil acts unlike anything audiences have ever seen before. La Nouba transforms the ordinary into the extraordinary and stimulates the imagination from beginning to end with daring acrobatics, dazzling choreography, vibrant music and whimsical characters only at Disney Springs in Orlando, Florida. For more information about La Nouba by Cirque du Soleil, visit cirquedusoleil.com. Cirque du Soleil has brought wonder and delight to more than 160 million spectators in more than 400 cities on six continents. Cirque du Soleil has close to 4,000 employees, including 1,300 performing artists from close to 50 different countries. For more information about Cirque du Soleil, visit www.cirquedusoleil.com.